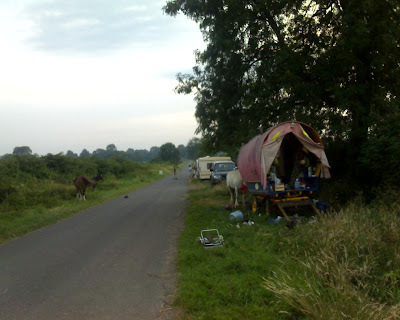 Somerset gypsy and Traveller Community Land Trust will hold the Land and lease it to a Travellers Cooperatives to occupy and manage their own sites within the terms of the 1983 Mobile Homes Act and following Cooperative principles. Cooperative development is a key principle of the Community Land Trusts work, through this Travellers can incorporate trusted friends and fannies into an institution for sustainable development of the community of which they are part. Run on democratic principles the coops can build and manage their own sites, and once they have met the cost of the lease, adjust their rental income to finance economic, environmental and social development projects.